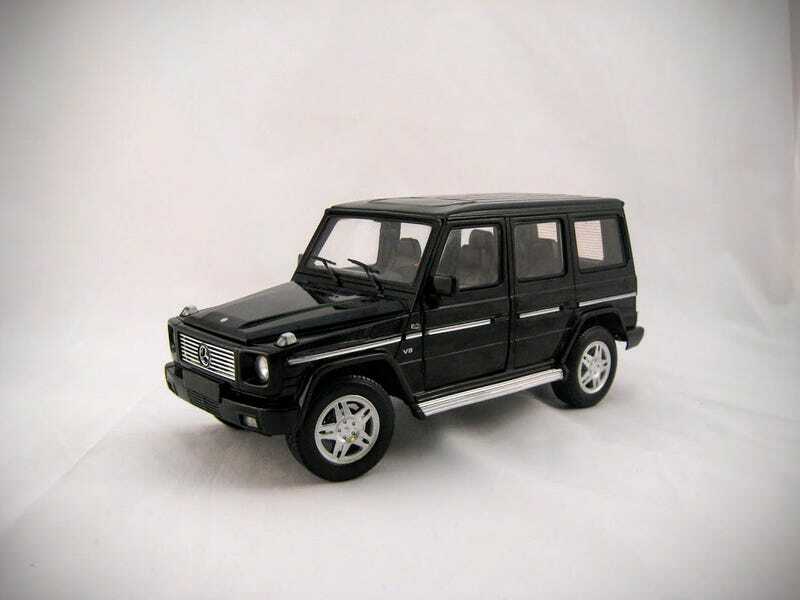 The Mercedes-Benz G-Class, also known as the Gelandewagen or G-Wagen for short, which means “cross country vehicle”, is an extremely iconic vehicle. Production started in 1979, and continues on to this day with only one major exterior change in 1990. The G-Class is the longest lived Daimler vehicle, only after the Uminog. These cars were tested in German coalfields, the Sahara, and the North Pole. Almost every government in the world has at least one, including the US (which owns 157). That order of 157 G-Wagens for the military saved their existence in the US. Mercedes was about to stop shipping them over here and had already produced 500 Grand Edition trucks to mark the last of the G-Wagen in the US. The G 500 has a 5.0 liter V8 that produces a paltry 288 HP and 336 pound feet of torque. Despite appearing very large, they aren’t as big as one might think. Compared to a 2015 Subaru Outback, it is 6.5 in shorter and 0.7 inches narrower, but is a whopping 11.8 inches taller. This particular model features no spare tire, which is unusual, at least here in the US. You may also note the lower lights are two different colors. I thought this was a mistake until Sir Tinfoil told me the red one is a high intensity fog light, and the clear one is a reverse light. The G-Wagen sure can carry a lot, making it a favorite for rich soccer moms/dads who for some reason need to take their kids off road. I wish Hot Wheels would’ve added more texture to the wood trim as opposed to the orange paint. One inaccuracy of this model is the lack of screen in the center console. The rest of the interior makes up for that, in my opinion.